That delights us very much! Please do enjoy viewing them online. fails to reward us for our tender-loving-care. 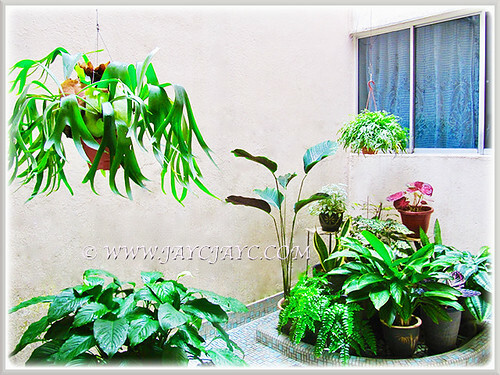 Our courtyard or indoor garden where mostly foliage plants reside. 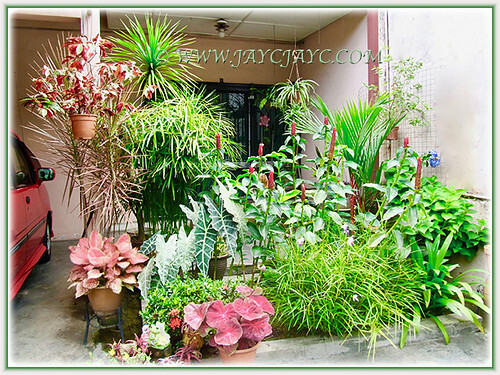 An overall view of our tropical garden from April to June 2017. Some of our favourite plants at the inner border. 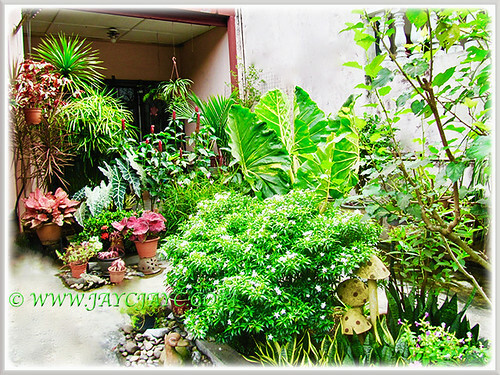 Outer plot at the frontyard where some captivating plants are. 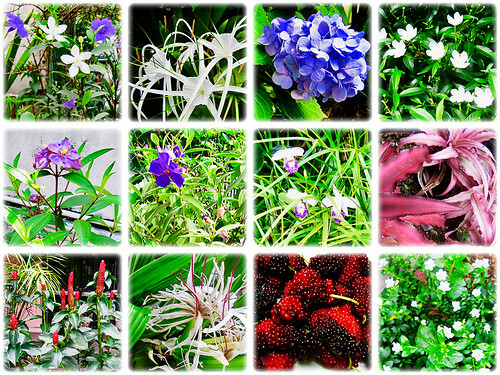 Some of the colourful flowers at our frontyard. 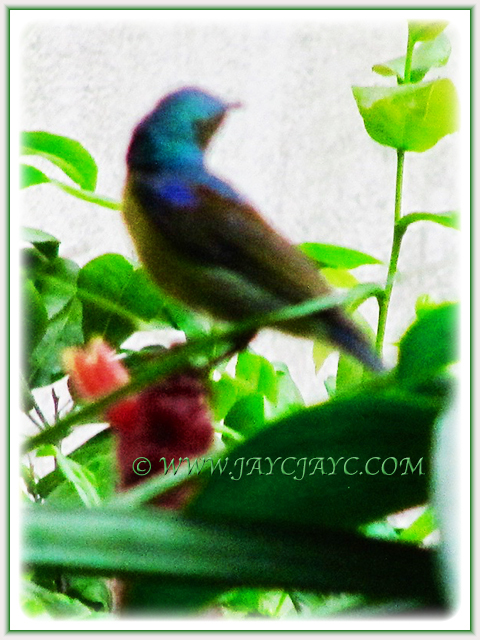 Sunbird resting on the Red Button Ginger. 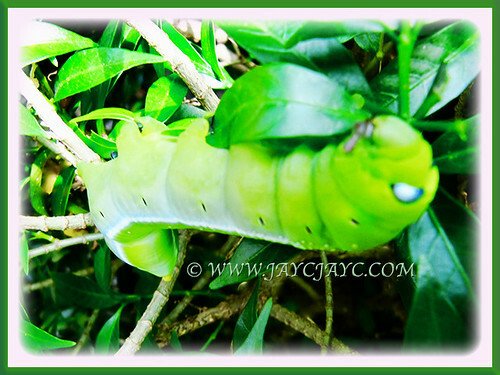 An enormous caterpillar feasting on Pinwheel Flower. 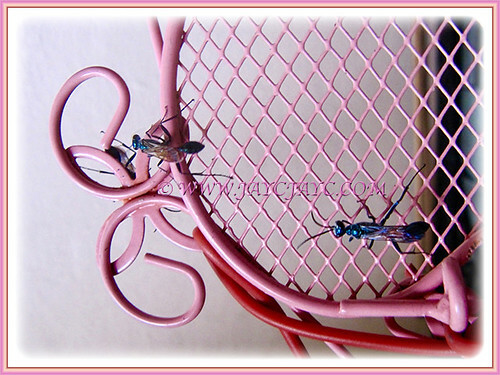 Pretty-looking crabronid wasps at our porch. 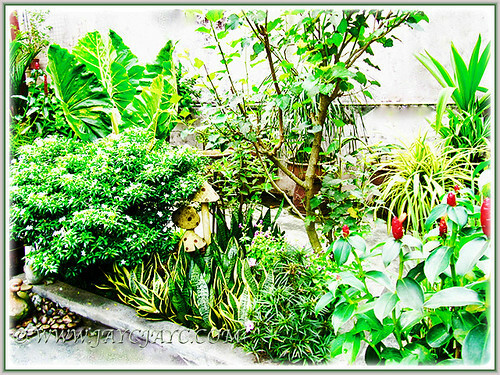 August 2007 in our tropical garden!